"Now if this is right it would be a remarkable find!" 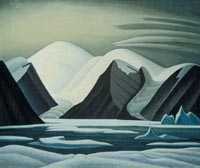 Lawren Stewart Harris was an irrepressibly brilliant Canadian artist and a founding member of the Group of Seven and the Canadian Group of Painters. 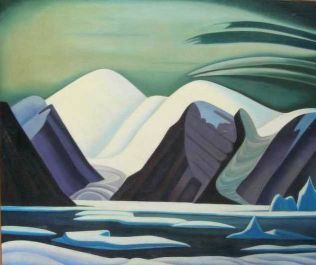 Born in Brantford, Ontario on the 23rd of October 1885 Lawren Harris Died in Vancouver, British Columbia, on the 29th. of January 1970. 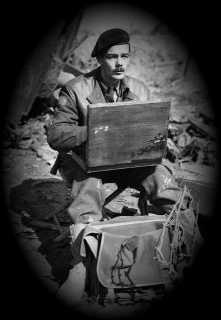 It's believed that in his later years, the Canadian Lawren Harris duplicated several of his favourite works. Exactly replicated is not necessarily correct as they often differed somewhat from the originals. Is that what we have here? Lawren Harris strove to embody the spiritual essence of the universe through simplified, archetypal forms which appear in a mystical light that seems to radiate from the canvas. One of his most favoured subjects was the mountains of the Arctic north, where he believed the spiritual energies of the world originated. It was these mountains which carried huge symbolic meaning for Him. His mountain paintings were the last representational works he painted before turning to pure abstraction but the mountain form would always be a central preoccupation in his work. Keys: Lawren Stewart Harris, Lawren harris, Canadian Group of Seven, group of seven, painting, Greenland, mountain, Greenland, mountain, oil on canvas, canvas, artist, Canadian, Canadian artist, biography, roadshow, painters, paintings, Artiques roadshow, Road show, British Artiques roadshow, David Freeman, Freemanart consultancy.Freemanart Consultants.